We've all experienced it...that moment where metal no longer is a reason to rise and exist each day. Granted those moments are few and far between, but at some point our brains need that wine and dine, all-inclusive resort for some rest and relaxation. Mine? Folk music for a few weeks, maybe some actual Country and Western music or-- my favorite-- horror movie scores. 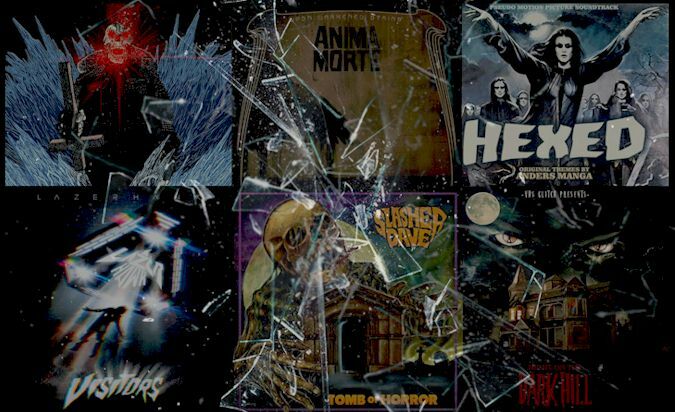 Horror movie soundtracks are typically connected in some way to heavy metal at its deepest core. While Beethoven himself would probably worship some neo-classical shred king out of Finland right now, I think that he might equally admire a lot of the retro wave bands that are doing 70s and 80s styled synth. There's a whole host of them out there from GosT to Lazerhawk to Cluster Buster that are enamored with the slasher films of the 80s and those Italian zombie movies that you tape traded for back in the day. As we've seen more and more extreme bands go electronic (i.e. Ulver), it is this type of synth heavy music that bridges the two worlds and accommodates fans that might need a little melancholy with their metal.